Alwar is a city and administrative headquarters of Alwar District in the Indian state of Rajasthan. It is located around 160�km south of Delhi, and about 150�km north of Jaipur, the capital of Rajasthan. Alwar is part of National Capital Region (NCR). It is also famous for its Olive plantation in Tinkirudi. 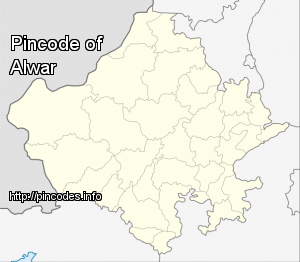 Alwar was formerly the capital of the princely state of Alwar. It was formerly spelt as "Ulwar" in British India. This placed it in last position in alphabetically ordered lists, so a king changed the spelling to "Alwar" to bring it to the top. Alwar is also known by the name "MatsyaNagar"
PM Modi added that he is proud to be a BJP worker and proud that the party has been strengthened by stalwarts like LK Advani.